This was the beginning of what came to be known as Leahi Hospital. The original facility was called the Victoria Hospital Association, and in August of 1901 a new association absorbed the Victoria Hospital and called it the Honolulu Home for Incurables. The name was changed to Leahi Home in 1906. The original signers of the Leahi charter were: Alexander Young, C..M. Cooke, S. E. Damon, Archibald Young, J.B. Atherton, T. Clive Davis, W. O. Smith, John Ena, and George E. Smithies. Alexander Young was the first president, and served until his death in 1910. These community leaders also contributed generously to fund the start of the hospital. 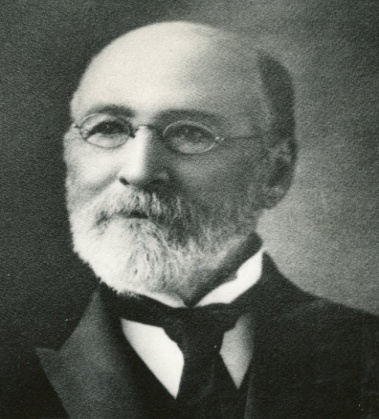 The first physician to head Leahi was Dr. Archibald Sinclair. In 1902 the Board purchased 16 acres in Kaimuki for $9,000 and moved the hospital there. Kaimuki was a remote suburb at that time , and Leahi had to assist with digging post holes for the telephone system extension and “induce the Rapid Transit line to extend its track to Kaimuki. It was years before running water was made available, and in 1907 electric lights replaced the kerosene lamps. The coal used to heat water was so expensive that it was only available two days a week. A gas heater was installed in 1912, but due to the cost hot baths were still kept to two days a week. In the early years to help keep costs down, Leahi also grew vegetables, had a dairy farm and a chicken coop. The hospital started with an administration building and 4 wards to house 15 patients. Leahi treated 72 patients in 1903. They continued to add open air pavilions and wards with the donations from community members. In 1916 the two story Alexander Young Memorial Building that could accommodate 20 patients was erected. The first concrete building came in 1921. Another cconcrete building followed in 1926, bring the accommodation capacity to 135 patients. Further training of the medical staff abroad allowed Leahi to offer the advanced treatments available to treat tuberculosis at that time. Leahi started to attract private patients and more female patients as the campus added private accommodations. In 1912 a dietitian and a pharmacist were added to the staff, making it a proper tuberculosis sanatorium. In 1916 it acquired its first x-ray machine. A school was added in 1918. The patient population had risen to 132 patients served in 1919. Bed rest was universally adopted as the chief means of cure. Pneumothorax was introduced in 1927, and public funding was received in 1929 from the Honolulu Board of Supervisors to build a surgical room, allowing for surgical intervention to threat TB. The Trotter Building which could house 101 patients was built in 1940. During World War II the military used Leahi’s facilties, and some patients had to be treated at other facilities. Leahi officially changed its name from Leahi Home to Leahi Hospital in 1942. It was at that time a private non-profit corporation principally supported by the Territorial Legislature and governed by a board of Trustee. The new name reflected the extensive treatments now being provided. Leahi had gone from a cluster of cottages to a “million dollar hospital” with the building of the Alexander Young Building in 1951. The building dominated the Kaimuki skyline at six and a half stories, covering a whole block along Kilaueas Ave. Bed capcity now stood at 711 beds. Further medical advances that aided in the treatment of the patients were the development of streptomycin in 1946, Para-Aminoosalicyclic Acid in 1947, INH in 1952, ethambutol in 1969, and rifampin in 1971. These drugs, combined with refined surgical procedures reduced the need of inpatient TB beds. The TB patient census peaked in 1949 at 646. Leahi has also served other populations throughout the years, including mental retardation and mental health for children and adults. As the TB population declined in the 1960s, the Hospital shifted to providing long term care, and continues to serve this patient population today. 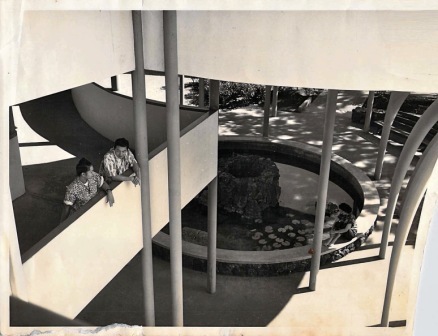 Change came to the administration of the facility; first n 1969 it was put under the University of Hawaii, then moved to the jurisdiction of the Department of Health in 1976. In 1996 the Hawaii State Legislature passed Act 262 which united 12 public facilities (except Hawaii State Hospital) on all of the islands except Molokai under one organization, the Hawaii Health Systems Corporation, a public benefit corporation. Leahi Hospital and Maluhia are the Oahu Region.